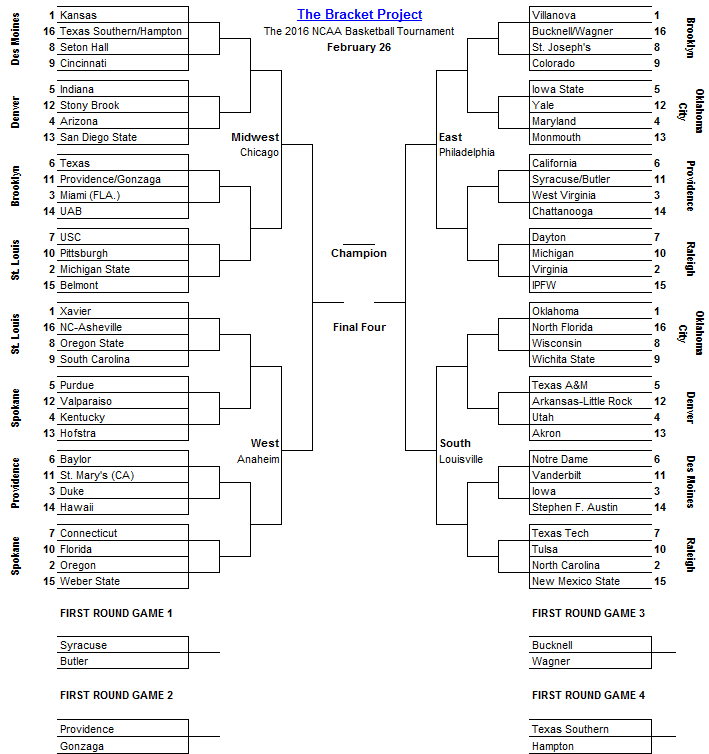 Here's my annual pdf that lists when you can catch each conference's championship game. 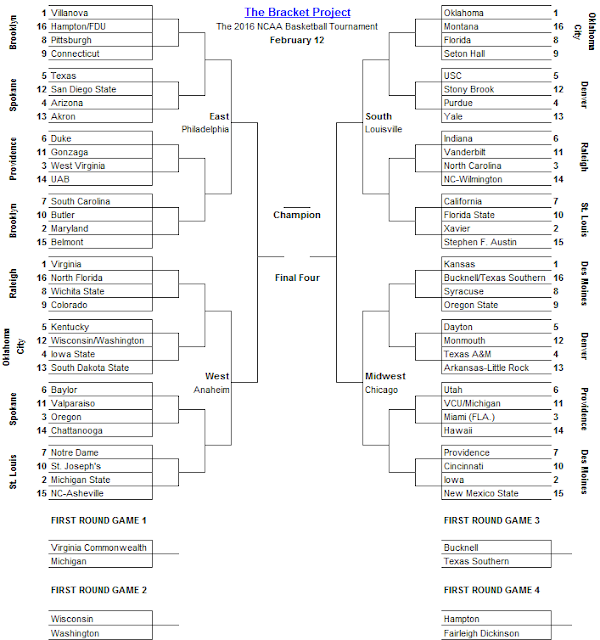 Here's my latest projection for games through February 25. 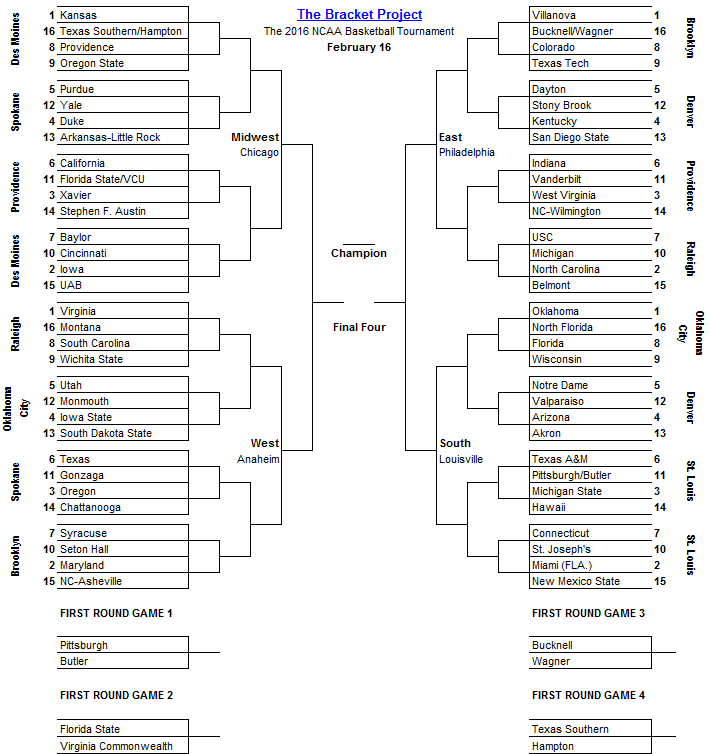 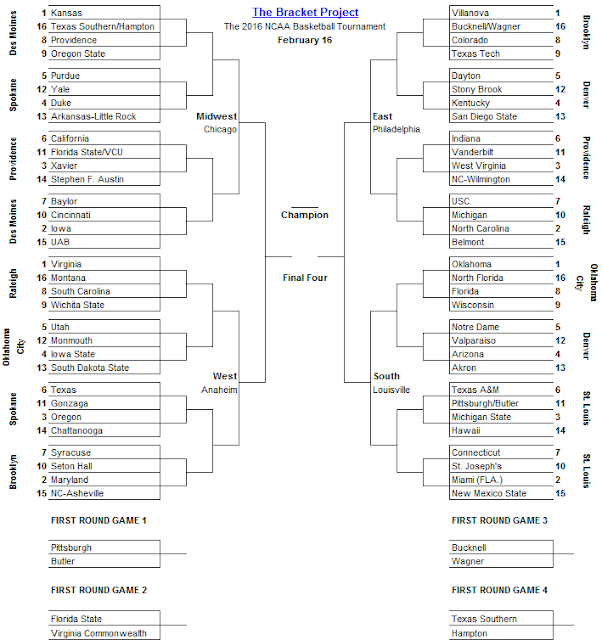 As always, this is my opinion and independent of the Bracket Matrix. 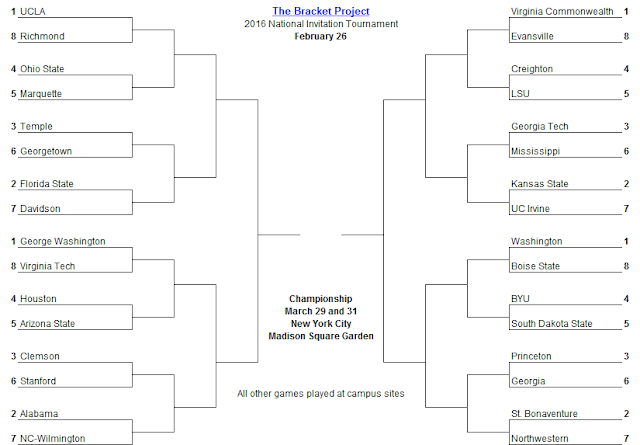 This NIT bracket can also be found on my NIT page. 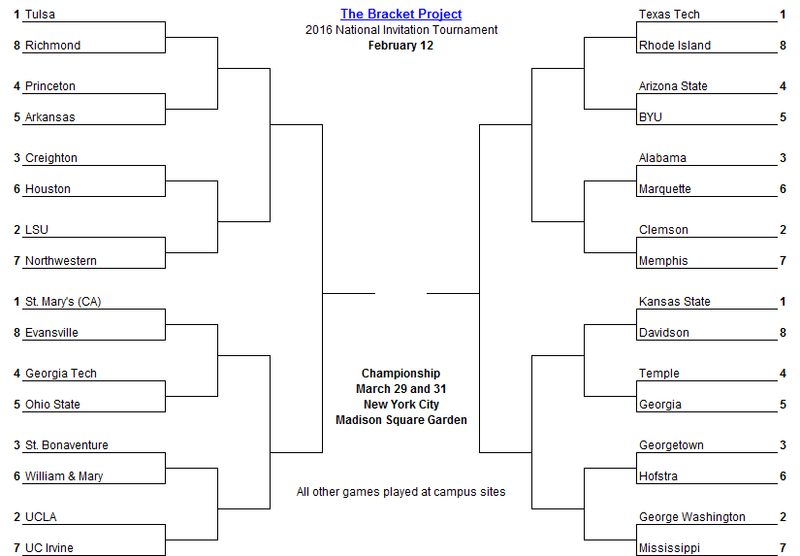 Here's my latest projection for games through February 22. 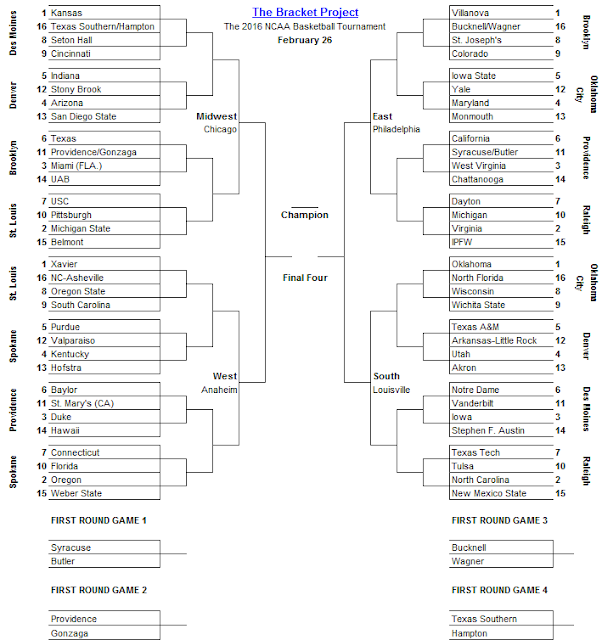 As always, this is my opinion and independent of the Bracket Matrix. 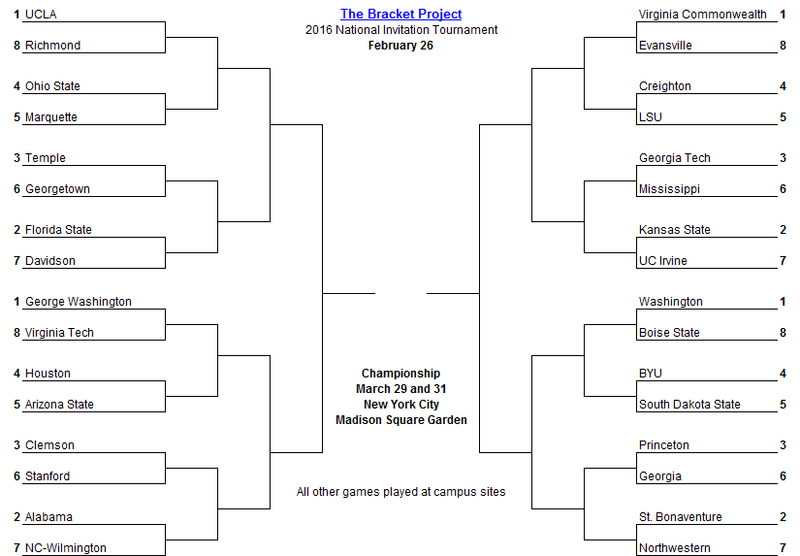 This NIT bracket can also be found on the NIT page. 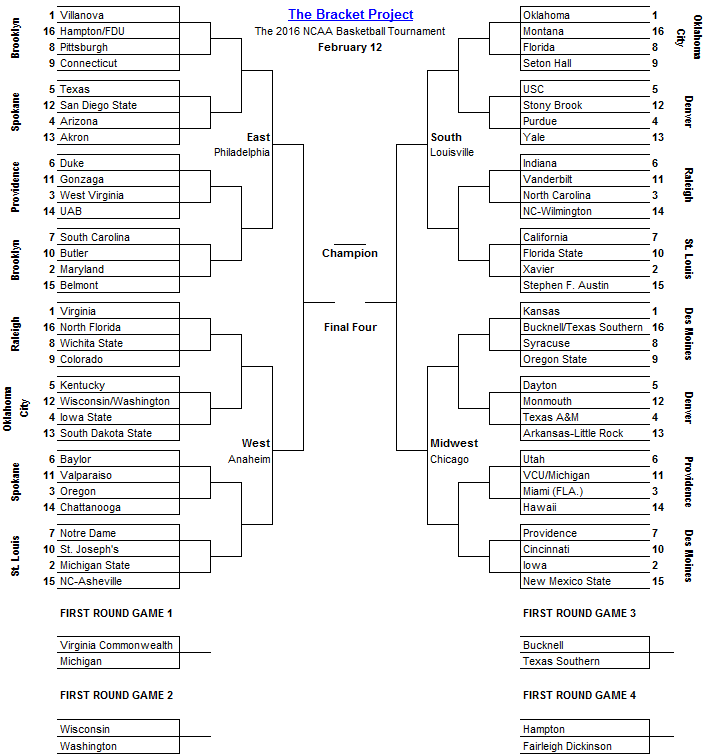 Here's my latest NCAA projection for games through February 15. 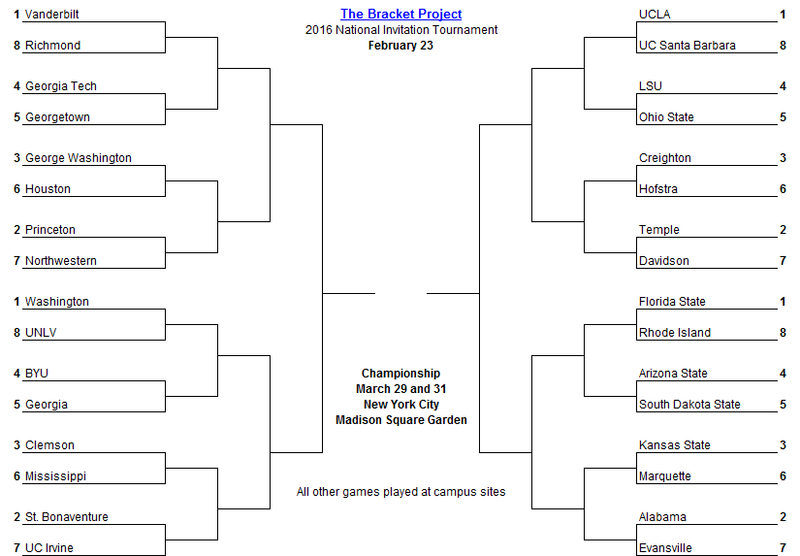 As always, this is my opinion and independent of the Bracket Matrix. 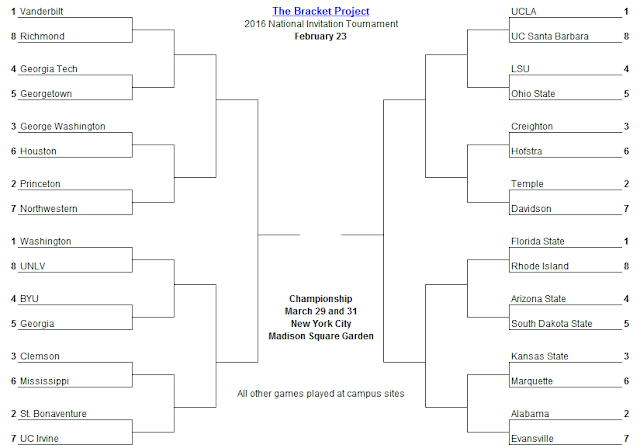 No NIT projection today. 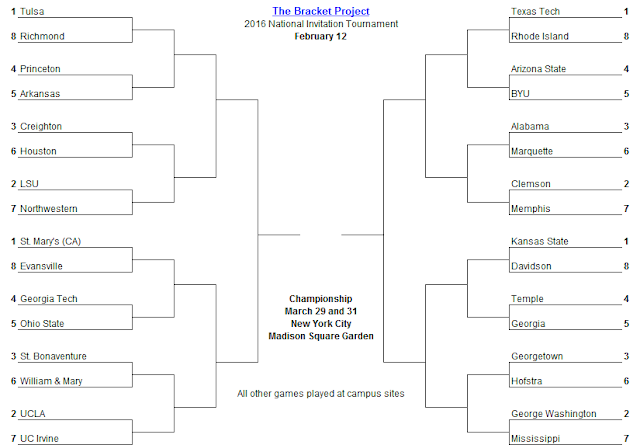 Here's my latest projection for games through February 11. 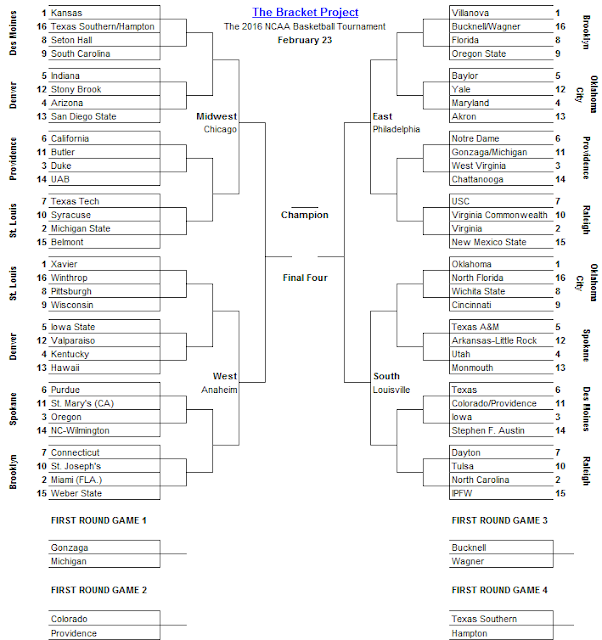 As always, this is my opinion and independent of the Bracket Matrix.